(BPRW) The Judge of Fashion - Christie Grays | Press releases | Black PR Wire, Inc.
(Black PR Wire) MIAMI, FL -- Fashion has been a pillar in our world as far back as the Roman times when your stature was based on the fabric used for your turban you wore. Through the years, fashion has evolved faster than even technology. With the rising of new colors, patterns, fabrics, styles, and brands every season it seems, it can be very hard for your average Joe like myself to keep up with what’s fashionable or not. With the command of fashion assistance being so high, many stylists have made their mark in the industry, but there can only be one “Judge of Fashion” and that is Christie Grays! 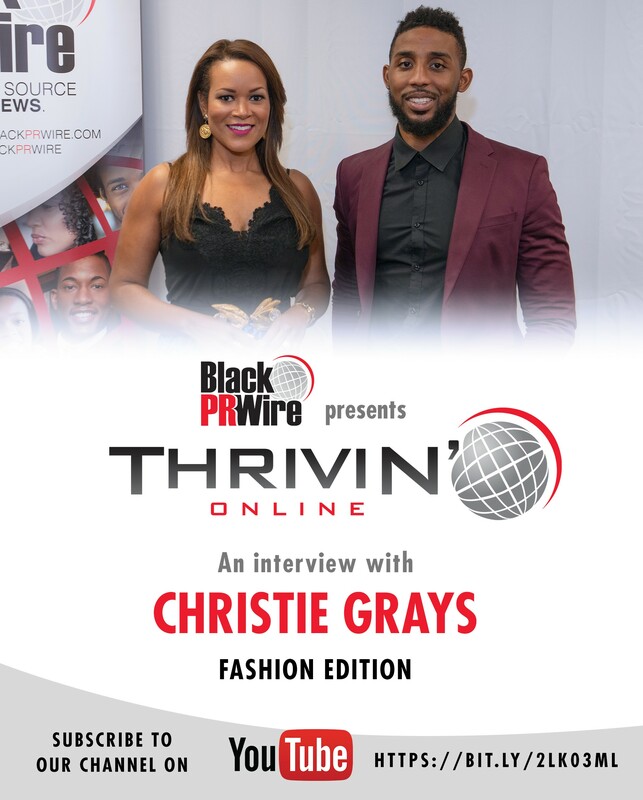 In a special fashion edition, Thrivin Online sat down with Christie to get a better understanding of fashion and her growth in the fashion business. Christie Grays is style personified and before she started on her journey in the industry, she worked with Baptist Health South Florida for six (6) years. In her role as Director of Community Relations, she ensured that Baptist Health maintained positive relationships in the business, government and civic communities it serves. Now she is the Commander-In-Chic of her own company called I Am Chic. 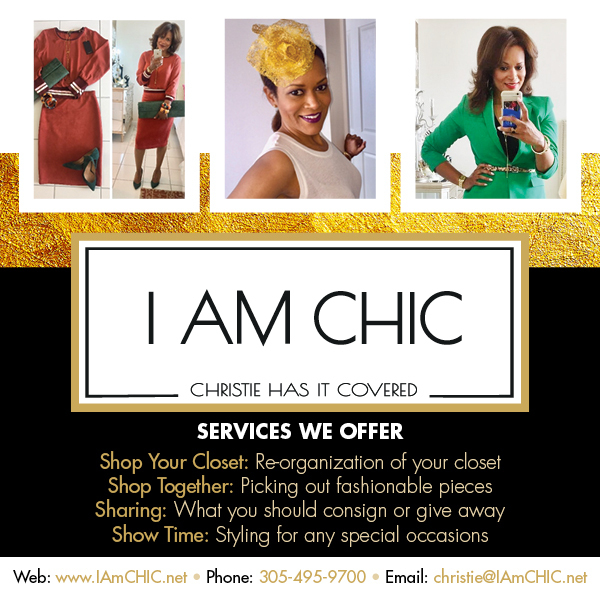 I am Chic is a lifestyle consulting company that helps you dress to impress. The company specializes in wardrobe and closet consulting to make your "What should I wear" decisions easier. As the Commander-In-Chic, Christie takes you from having nothing to wear to having everything to wear; from a messy closet to an organized closet; and from looking blah to looking chic! I Am CHIC offers a wide array of services for active individuals who like to look classy and chic. Individual clients include on-air television personalities, senior level executives, attorneys, political candidates and philanthropic socialites. Corporate clients include American Express and City College. Clients range from Size 0 to Size 24. I Am CHIC has clients in Florida, Georgia, Texas, Maryland and Virginia. Christie Gray’s multi-faceted career and lifestyle makes her a triple threat. With her versatility, she can provide you with the best of both worlds and with her personality she can provide you a permanent smile. She is the definition of ‘THRIVIN ’and has only scratched the surface and plans to bring you fashion until you embellish a CHIC sense of style. Thrivin’ Online features interviews with people throughout the U.S. and Caribbean and whose stories help empower and inspire. 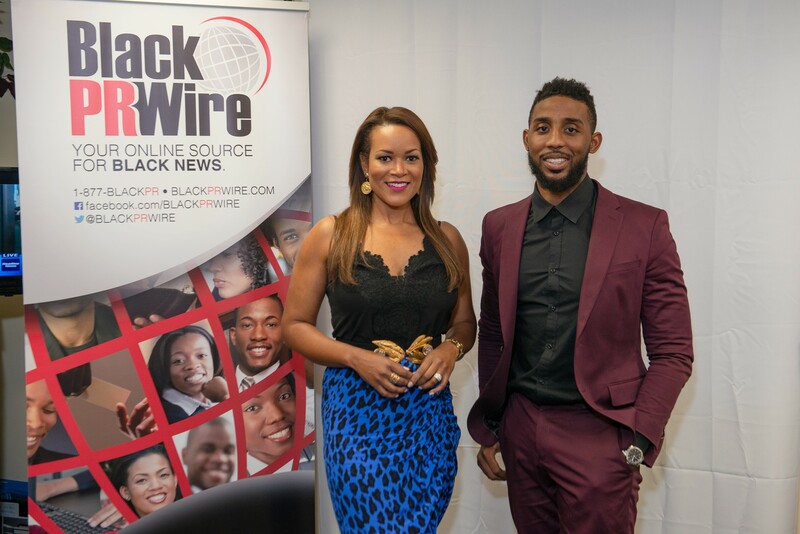 “From the corporate business executive to the world-renowned actor, our up-close and personal interviews are motivational and inspirational,” says Joseph Ellick, the show’s producer and host.